Expands holes in tight retrofit situations. Applications include door lock installations and for conduit fitting. 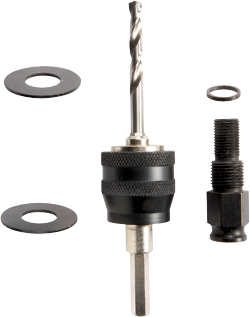 Features universal Quick Changemandrel. Includes This kit makes it possible to expand holes in tight retrofit situations, door lock installations, and for conduit fitting.